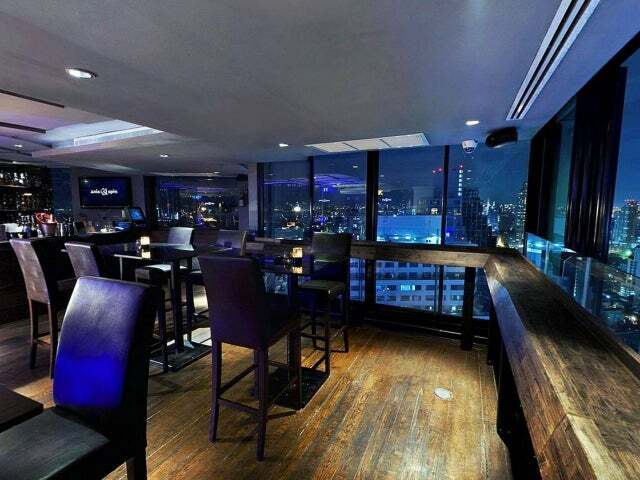 Axis and Spin bar in Bangkok, Thailand is a magnificent sky bar and lounge, overlooking Sukhomvit road and Benjakitti park. 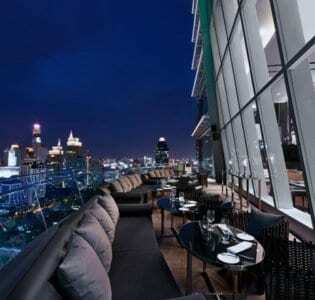 Over two top floors of The Continent Hotel, Axis and Spin is seen as the finest rooftop bar in Bangkok. Their skyline view of the city creates the ultimate dining experience. Only a two minute walk from the MNT and BTS train station, it is an easy location to visit for a wonderful night! On the 38th and 39th floor the views of Sukhomvit Road are magnificent. Axis and Spin are definitely the ‘camera ready’ type of bar so make sure you capture the view of the sunset in your selfies! Both sides of the skybar have a complete 180 degree glass wall connected by a beautiful and elegant spiral staircase, so you can overlook the Benjakitti park too. 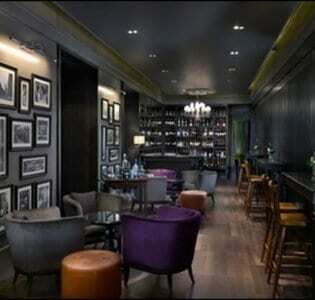 This Asian gastro bar has a brilliant two-for-one happy hour running from 4pm till 8.30pm. We recommend the cocktail ‘cha la la’ which is a zesty blend of vodka, black grapes, lemon grass and lychee, apple juice and oolong tea. The ‘colony cocktail’ is also worth a try, made with gin, grapefruit and maraschino. If you fancy something spicy but also sweet, try the chilli martini! There is a brilliant alcoholic-free menu too. While seated on the high stools surrounded by vintage décor, you must try the lamb skewers! They come marinated in a tamarind sauce along with crispy and delicious chips! Don’t forget! This bar hosts a range of themed evenings such as ladies night, where women get two free drinks as well as some tasty canapés!